How many times a day should I take it? At what time(s)? If the bottle says take “4 times a day,” does that mean 4 times in 24 hours or 4 times during the daytime? 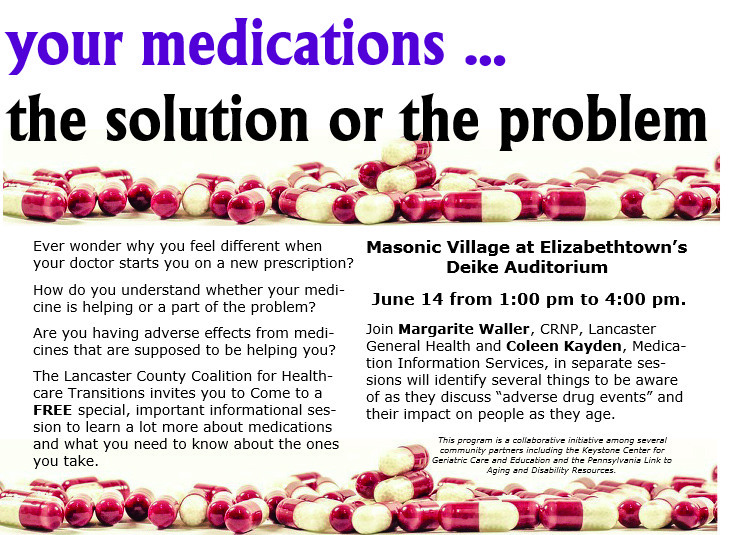 Learn more about medication safety. And you can learn more by coming to this special FREE event on June 14!